The Newport 430 High-Performance Low Profile Stage has been replaced by the Newport model 433 and other than the micrometer mount, is the same stage. The ball bearings in this stage ride on hardened steel rods to maintain precision and smooth movement. 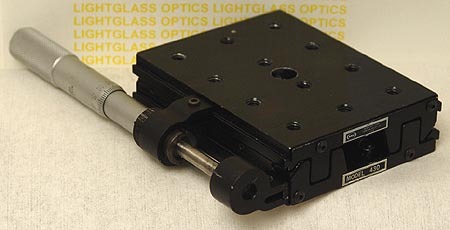 The Newport micrometer actuator is included with this stage.